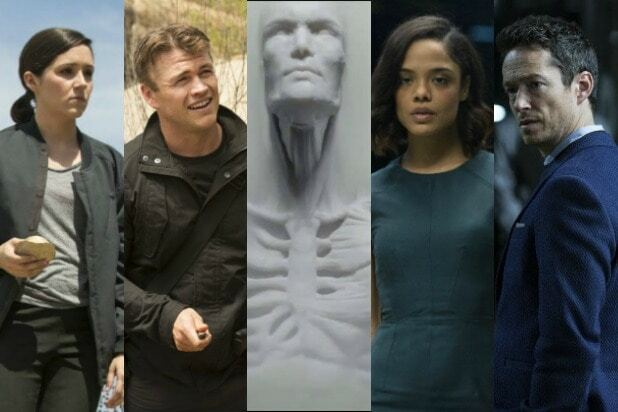 “Westworld” has set the stage for a big war between the hosts that have been abused in the titular theme park and the humans who think they own them. 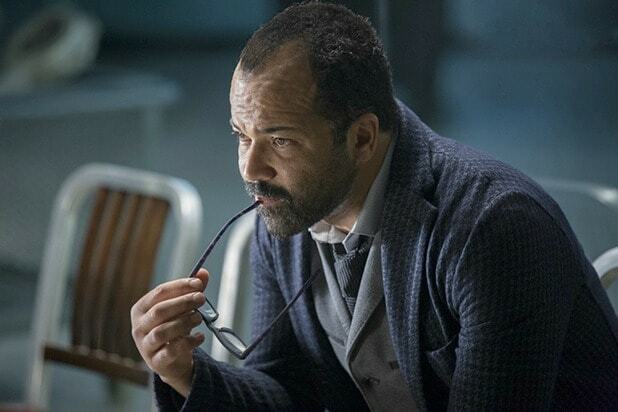 At the center of it all is Bernard, the right hand man of Dr. Ford (Anthony Hopkins), who discovered in one of the show’s several dramatic twists that he has been deceived by his boss: he is, in fact, a robot designed to mimic the appearance and memories of Ford’s dead partner, Arnold. For Jeffrey Wright, this mean that he had to secretly play both Bernard in present day scenes and Arnold in flashbacks throughout the series. To help him with this challenge, showrunner Lisa Joy deviated from a general rule she and Jonathan Nolan held to during filming. While most actors received new information about their characters on a need-to-know basis through scripts, Joy told Wright early on the truth about Bernard’s identity. So after spending several episodes playing a character who thinks he’s human, Wright was called upon to suddenly shift into host mode, with all the vacant stares and frozen poses that acting job implies. Wright said that his time working with Evan Rachel Wood during Arnold’s conversations with Dolores helped him with the changes the role demanded of him in the second half of the season. Also Read: Who Was the Real Villain of 'Westworld' Season 1? Wright was reluctant to guess what Joy and Nolan have in store for Bernard next season, but he did discuss his own interpretation of Ford’s dramatic exit, in which he warned Bernard that the hosts would have to suffer greatly before earning their freedom before giving his manipulated associate a perfect view for his demise at the hands of Dolores. The war between humans and their creations has begun, and Bernard, the robot who has interacted with humans at a level and complexity no other host has, is stuck in the middle.